Pew! Pew! Pew! 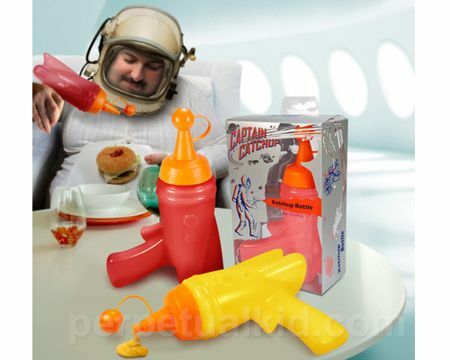 There is nothing quite like one’s imagination when it comes to playing games, and here is one that lets you have some fun as a space soldier who is exploring far off worlds, having come across the likes of extra terrestrial life whose weakness is ketchup or mustard. Hence, the $10.49 Ketchup or Mustard Space Gun. These are uniquely designed condiment bottles which are essential when it comes to any cookout sessions, where ketchup or mustard is essential to bring out the flavor of that particular dish. Not only that, it can also be the perfect conversation starter at any cookout, that’s for sure!